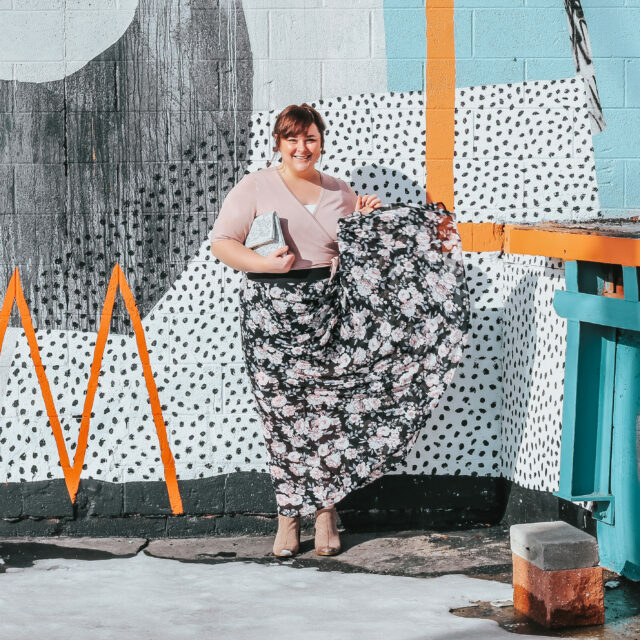 A huge thanks to our friends at Fun and Function for sponsoring this post. Bedtime around our house didn’t used to be easy, in fact, it was one of the hardest parts about our day. 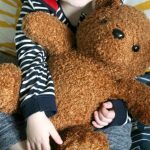 It was sometimes difficult for Wyatt to calm down enough to fall asleep at night, we tried countless things – and today I wanted to share with you our full list of our Soothing Bedtime Must-Haves, just in case your little one could use some help at bedtime, too. 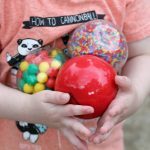 I love that the ball encourages calm and focus for Wyatt, and helps soothe him to sleep. We set it up right on his nightstand with the remote so he can change it as he likes. Levi also loves playing with the ball, and I especially love that it’s something they can play with together. 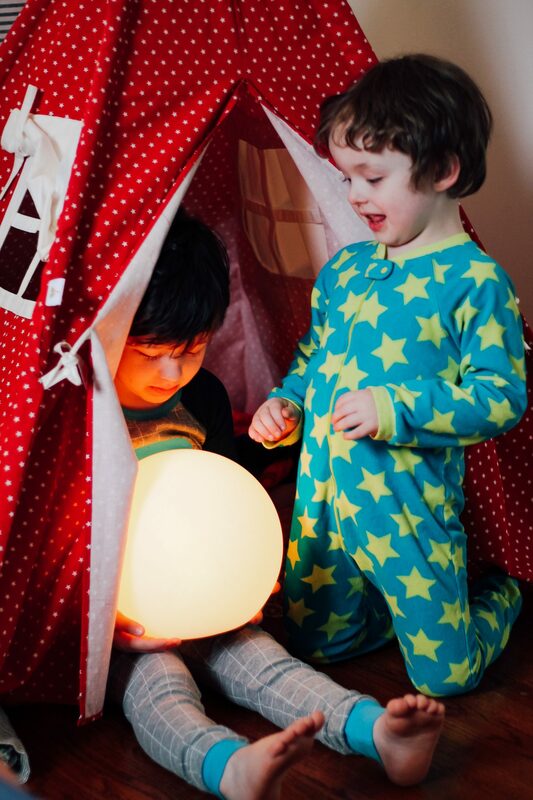 There’s just something so magical about watching your kids play with a glowing ball inside their bedroom tent. I watched as they passed the ball back and forth, changed the colors, and saw their faces light up as they called out all of the colors. 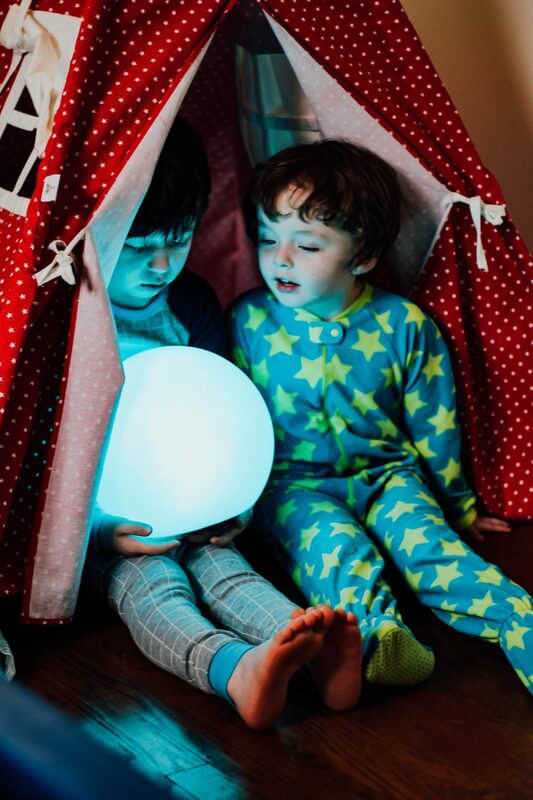 They’re making such special memories in that tent with their LED ball. 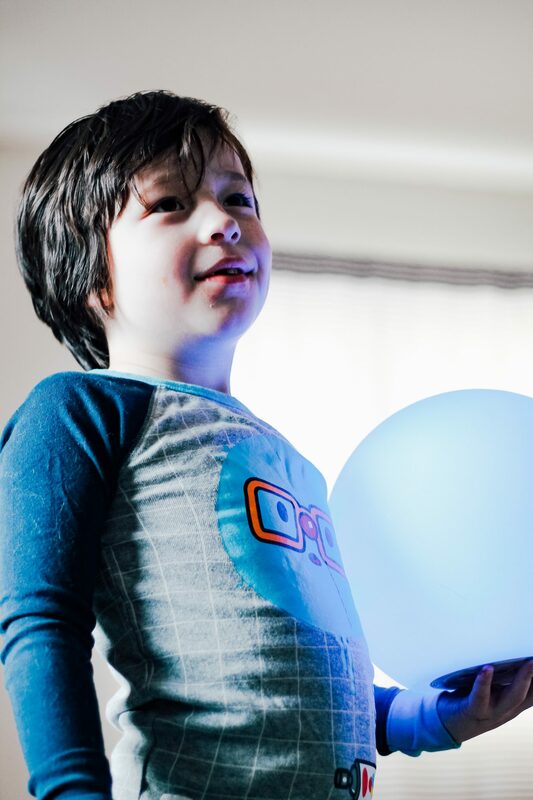 Of course now Levi wants the LimeLite™ LED Ball for his room, too – should have saw that one coming! 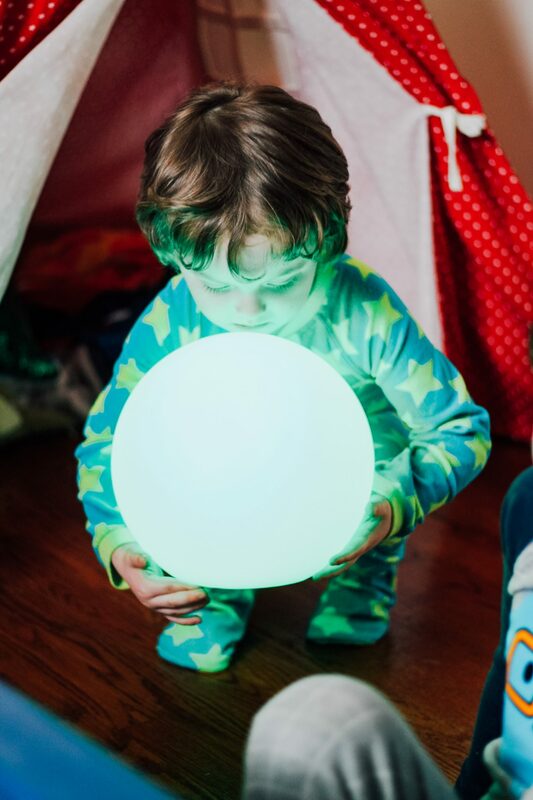 The ball is especially comforting when paired with soft lullabies or ocean waves. 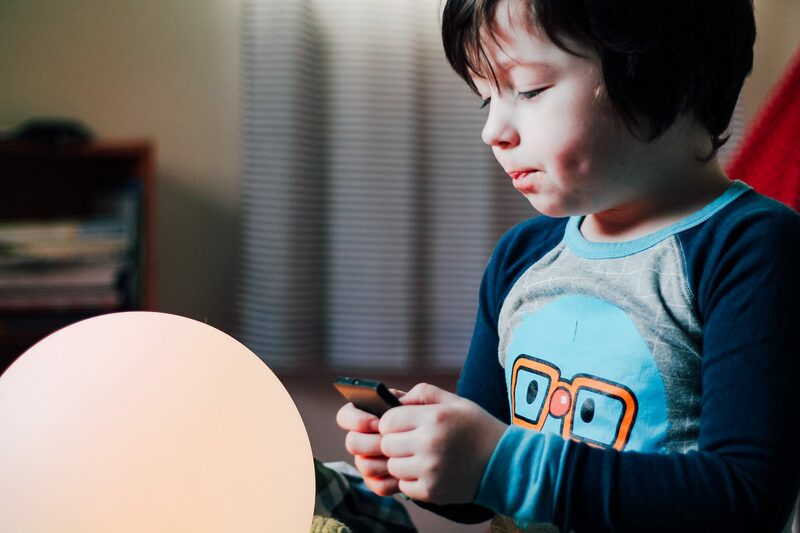 Wyatt has a small sound machine in his room to help him fall asleep and loves to have the ball going along with it. 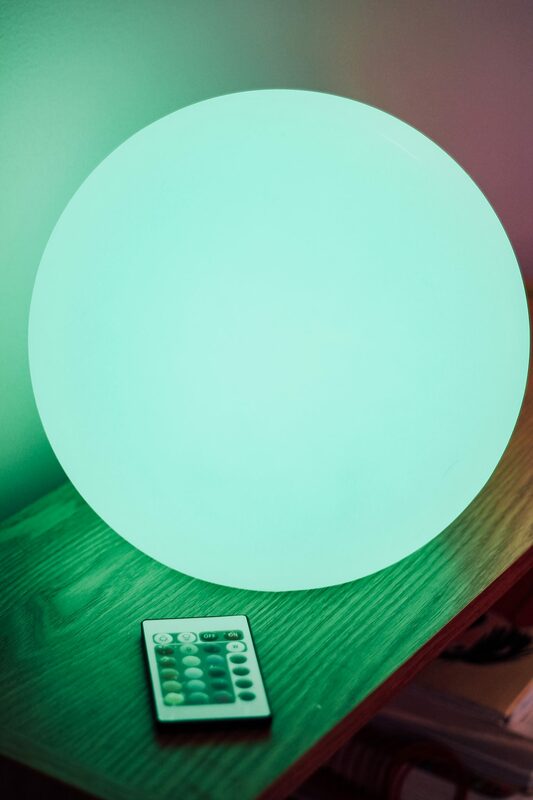 This ball gives off just enough light to be a night light, and it’s not overwhelmingly bright, just a nice dim soothing light. I love that I don’t have to worry about it being too bright and keeping him up at night. Music | Right now Wyatt has a sound machine in his room that plays lullabies, ocean waves, and white noise. It’s been a huge help to get him nice and calm when he’s tucked in at night. 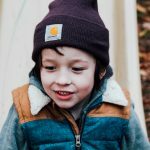 Weighted Lap Pad | We have this weighted lap pad in Wyatt’s room, and it’s also from Fun and Function. Wyatt loves having this just in case he needs a little extra pressure to help calm down. Sometimes he will reach for it when we’re reading stories before bed and just put it across his lap. Other times, he’ll ask that I lay it on top of him after I tuck him in. Either way, I love that he uses and is comforted by it. 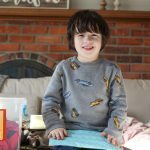 Lavender Pillow Spray | I love spritzing Wyatt’s pillow with a lavender pillow spray once a week. I feel like it helps his room smell welcoming and calming, and when he sleeps he breathes in the scent of soothing lavender. 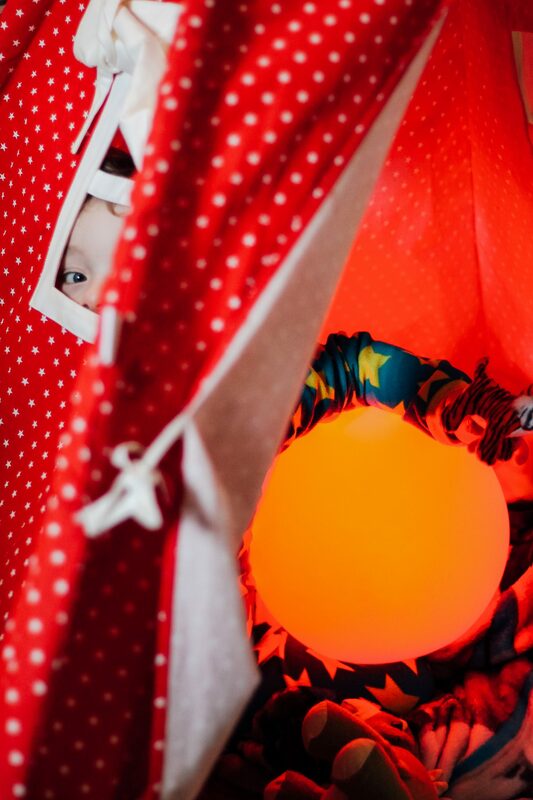 Projector | Wyatt’s sound machine also doubles as a starry night sky projector. With the push of a button he can project stars onto his ceiling. He loves pointing out the stars and planets when he’s cozied up in bed. Have another idea that’s not on the list? 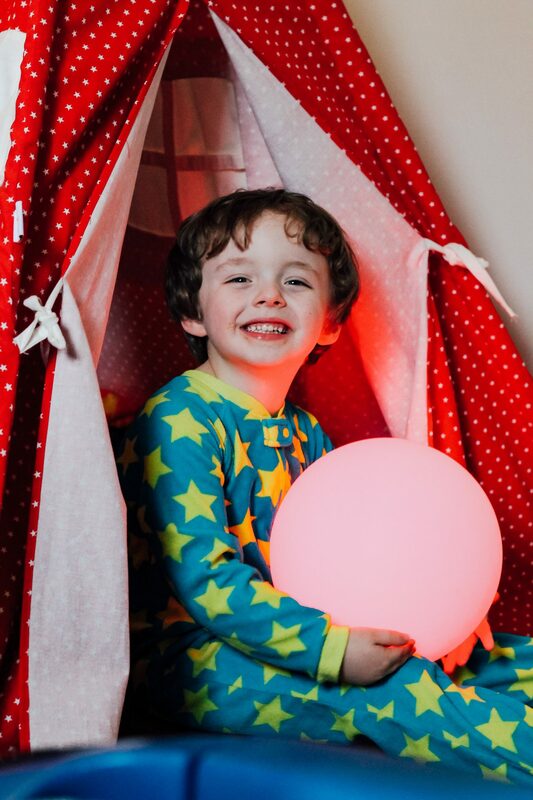 What are YOUR bedtime must-haves?